As a certified Mercedes-Benz Elite collision center Magnum is your trusted source for all of your Mercedes-Benz aluminum repair needs. Don’t trust just anyone. We have the factory training and the state-of-the-art facility necessary to repair any model Mercedes to pre-accident condition. We confidently provide a Lifetime Warranty for our repairs because we know that we have the training, tools, and experience needed to restore your Mercedes-Benz to factory specifications. This warranty covers all workmanship and paint. We are dedicated to achieving 100% customer satisfaction and the highest quality repairs available – anywhere. Magnum Collision Center is a proud to be a Certified Mercedes-Benz Body Shop. No one plans for an accident. When the unexpected happens you need to know that your Mercedes-Benz will be restored to its original pristine condition. You need to know that your vehicle will look and feel as good as it did when you first purchased it. You also need to know that its advanced safety features are still protecting you and your passengers. As a Mercedes-Benz ELITE certified collision center, Magnum has a proven track record of Mercedes-Benz repairs. Mercedes-Benz trust our technicians and facility to repair their vehicle to factory specifications. This includes aluminum components that many shops are not equipped or trained to handle. Mercedes-Benz ELITE Certification’s are limited and reserved for only the top tier of Mercedes-Benz auto body shops. We are trained in the correct repair and installation of aluminum parts. The light weight and rigidity of aluminum makes it a popular choice for luxury vehicles but special care is needed to ensure the parts are properly repaired. All repairs have to take place in a clean room, as any connection with steel will cause corrosion. Our advanced tools and expertise will ensure your aluminum is repaired to the high standards of Mercedes-Benz. Under our factory trained technicians care your Mercedes-Benz will be treated with a repair process approved by the manufacturer. Each weld and bolt will be placed exactly how the factory intended. This meticulous attention to detail is what allows us to guarantee our repairs with a Lifetime Warranty. Each Mercedes-Benz model requires this special attention to detail. A technician has to know how the safety features are designed into the structure of the vehicle, or how to properly fix aluminum components. With each year Mercedes is improving on their designs and our technicians will be able to handle them. Mercedes-Benz vehicles have been expertly crafted to meet high standards of performance. Each component plays a specific role in this design. It is not always obvious how important certain parts are until they are damaged. It is vital that when parts need to be replaced they are replaced by a part that perfectly fits into Mercedes-Benz’s design. Your Mercedes-Benz is one of the biggest investments you’ll make in your lifetime. 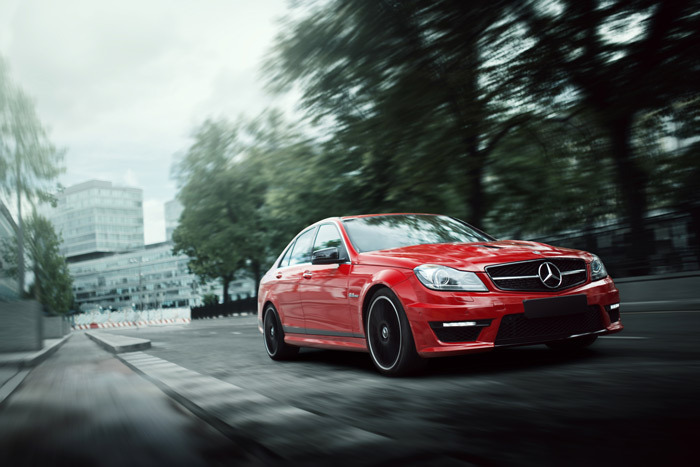 Protect that investment with a Mercedes-Benz Certified repair from Magnum Collision Center.